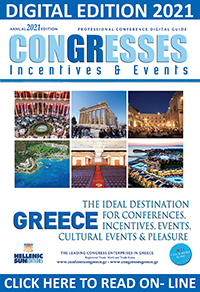 GREECE, THE IDEAL DESTINATION FOR INCENTIVES, CONFERENCES, CONGRESSES, MEETINGS, BUSINESS TRAVEL,INTERNATIONAL CULTURAL AND SPORT EVENTS. 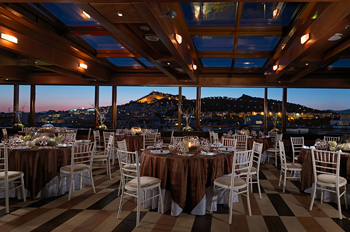 From high-tech conference roomsto theaters, to ballrooms, to unique wedding and reception estates and elegant restaurants with panoramic city or ocean views, Greece boasts a large number of multifunctional venues to suit any need, from meetings and conferences to stage plays, concerts and unforgettable social events. Whether hosting a half-dozen guests or a few hundreds, and whether the dress code is formal or come-as-you-are, the options are countless. 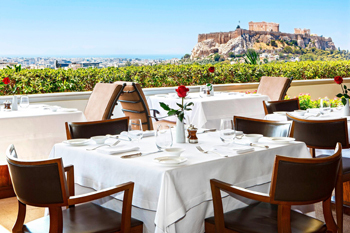 Targeting eclectic tourists, business travelers and conference organizers, a large number of multifunctional venues in Athens, Thessaloniki, Rhodes, Kos, the Greek islands and Peloponnese have undergone extensive upgrades and renovation, offering a variety of unique and distinct spaces to showcase any corporate event or social gathering. Experience and world-class catering combine with seamless planning, delicious cuisine and professional services to ensure any event to be one of a kind. 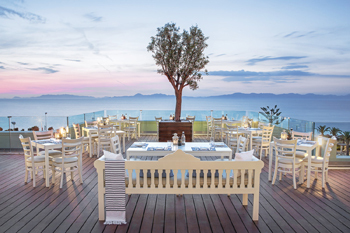 Found in convenient locations, in the heart of bustling city-centers within walking distance from major transportation hubs, near international airports or on the Greek coastline, multifunctional venues in Athens, Thessaloniki, Rhodes, Kos, the Greek islands and Peloponnese each year host holiday parties, meetings, press conferences, product launches and much more. Featuring carefully crafted menus, superb wine selections, impeccable service and flawless planning and execution, elegant and spacious restaurants double as multifunctional event venues making dining an unforgettable experience for corporate employees, clients and partners. The majority of them feature large dining rooms that can be used as ballrooms, as well as outdoor gardens suitable for large receptions. Multifunctional venues also include refurbished Theaters with large capacity and the capability to hold a wide array of events, including concerts, live performances, web broadcasts, live recordings, award shows and event parties, with multiple options ranging from only a few to a few hundred guests. Multifunctional venues in Athens, Thessaloniki, Rhodes, Kos, the Greek islands and Peloponnese comprise landmark buildings, resorts with restaurants, dance clubs and beach bars that are popular and versatile special events venues ideally suited for a wide variety of events, including meetings and seminars, screenings, product launches, fashion shows, corporate events, team-building functions, benefits and fundraisers, multimedia presentations, cocktail receptions, corporate entertaining, and office holiday parties. Skilled conference services, catering and audio/visual staff attend to all business requirements. 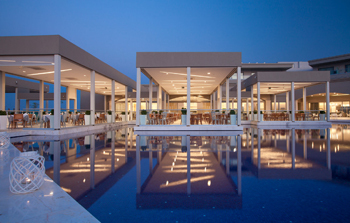 Multifunctional venues across Greece – Athens, Thessaloniki, Rhodes, Kos, the Greek islands and Peloponnese – offer beautiful, spacious and yet intimate space for customized events to meet the needs of clients, paying careful attention to detail with creative and innovative solutions from concept to completion. They can accommodate any size event from just a few to hundreds of people by capitalizing on the versatility of their facilities. Several of them provide flexible workplaces, serving many customers a day. Their products and services range from fully-furnished offices to meeting rooms, co-working spaces and business lounges, enabling small and medium businesses to benefit from outsourcing their office and workplace needs. Some multifunctional venues also feature extensive exhibit space and themed galleries, offering a unique option for those wishing to escape from the traditional. 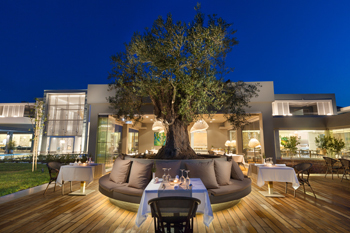 The extraordinary combination of world-class arts, exceptional cuisine and spectacular location make many of the multifunctional venues in Greece the perfect place for any event. Whether a small meeting or lavish gala, attendees will appreciate the convenient location, spacious meeting rooms and inviting environment of indoor and outdoor event space. 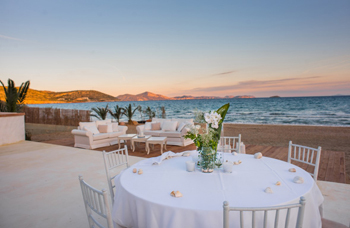 From Athens to Thessaloniki, Rhodes, Kos, the Greek islands and Peloponnese, the multifunctional venues are perfect for a variety of events, including receptions, lectures, award ceremonies, concerts, weddings and more. Creative in approach and innovative in design, the multifunctional event venues across Greece, from Athens to Thessaloniki, to Rhodes, Kos, the Greek islands and Peloponnese, are a breath of fresh air for corporate participants and gala guests.